Get your tickets for the event of the year in aid of our charity the Family Holiday Association, and Keech Hospice! 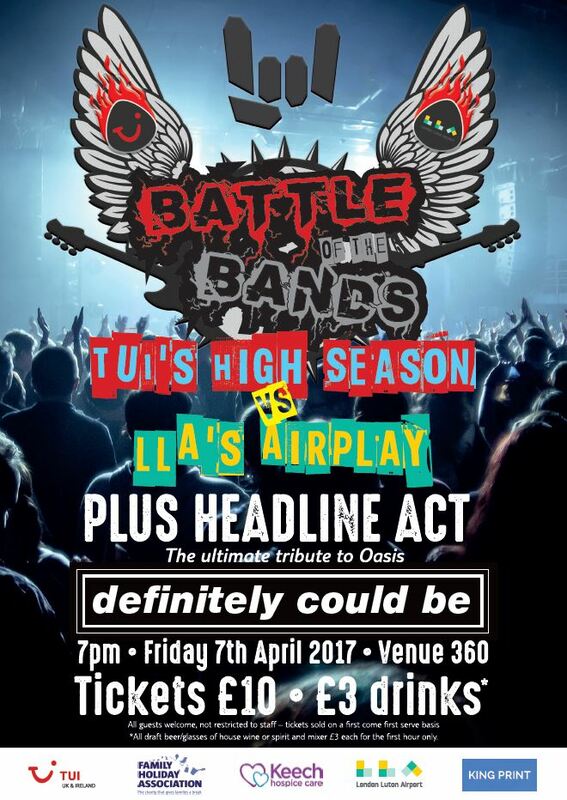 TUI’s very own band ‘High Season’, made up of colleagues from across the business, will be take on London Luton Airport’s ‘Airplay’ to bring home the first ever Battle of the Bands trophy. Not only that, but headlining the night will be local legends and Oasis tribute band ‘Definitely Could Be’. So gather together your friends and family as this is a night not just for TUI colleagues! Please email Emma.Deacon@thomson.co.uk for tickets.